Swimming and poolside slaying all day? Where's the fun in that?! How about this: Ride the waves, feel every splash of waters, zoom up, down and away and scream at the top of your lungs out of excitement. 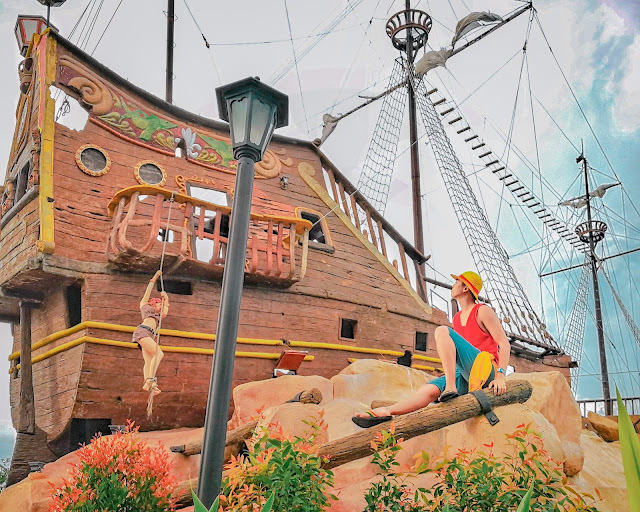 Ahoy, pirates craving for some adrenaline rush! 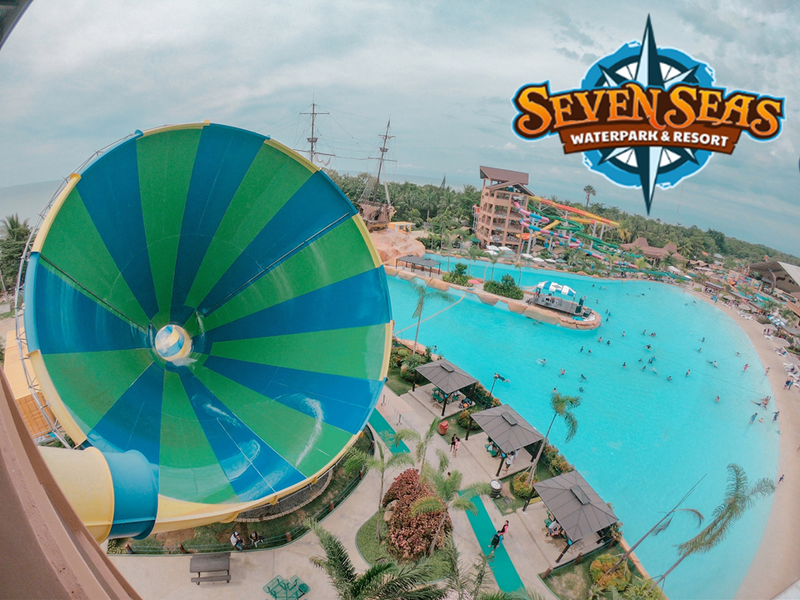 Seven Seas Waterpark and Resort is here to let you experience world-class water adventure in Northern Mindanao! Seven Seas Waterpark and Resort is the first and largest world-class Pirate-themed park in the Philippines. 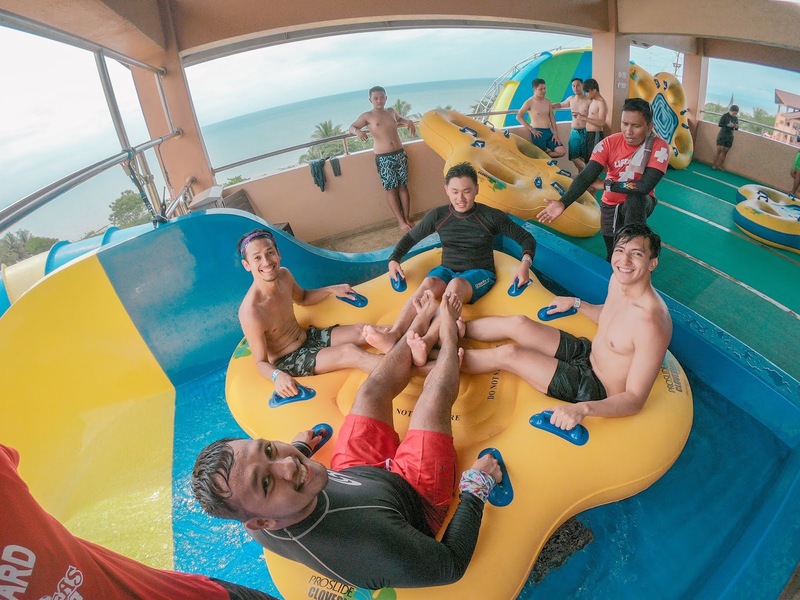 Its founders traveled to water park destinations around the globe and put together its best features for them to come up with a unique water park tourist destination in the country. The pirate theme, on the other hand was chosen since it is a universally known idea for young and old alike. It has recently opened and became fully operational in the last quarter of 2017 (Soft opening in October 2017 and grand in December 2017). 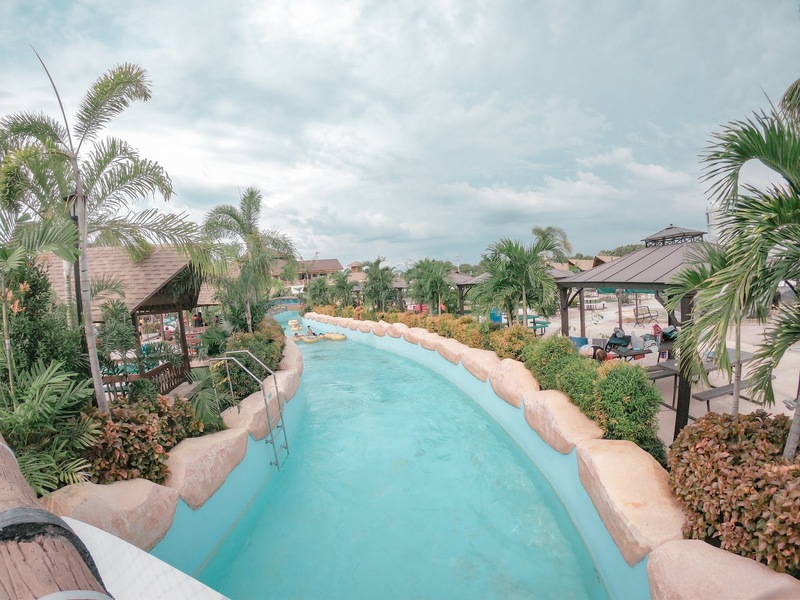 There are more than 20 attractions around the resort. Ten or more of which are the slides which you would dare not to miss! The resort opens at 9:00am and closes at 5:00pm as they do not offer overnight accommodations. 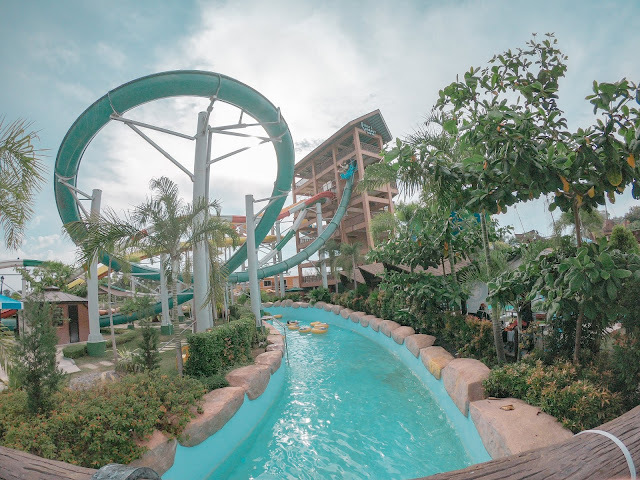 Located at Barangay Barra, Opol, Misamis Oriental specifically along the Opol-Bulua Diversion Road, this is considered to be the first world-class water theme park in Northern Mindanao. It is some 25 minutes away from Cagayan De Oro City proper and 30 minutes away from Laguindingan Airport. Rates vary depending on the day of your visit. Weekday rates are always cheaper. You need not to reserve tickets online as you can buy there and then. The entrance fee entitles every guest to an access to all of the attractions. Trying the slides or not, guests shall also pay for the same rates. Monthly Birthday Promo - The birthday celebrant has to come with three paying individuals to make him/her free of charge. Bringing of Identification Card with the birth date is a must for validation purposes. Celebrants are also allowed to celebrate and bring birthday cakes inside the waterpark. There are more than twenty attractions in this 5-hectare wide resort. Showers, wash and comfort rooms, (2) locker areas and restaurants are accessible as they can be found in every corner of the resort. 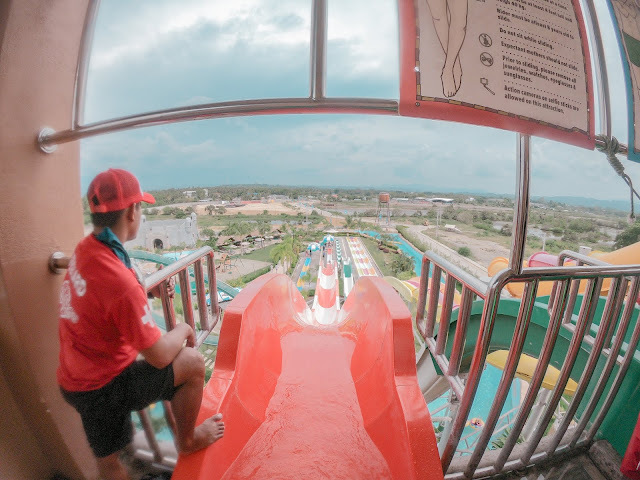 Those who would not be able to try the slides can still enjoy the resort as its attractions are not just into extreme adventures. 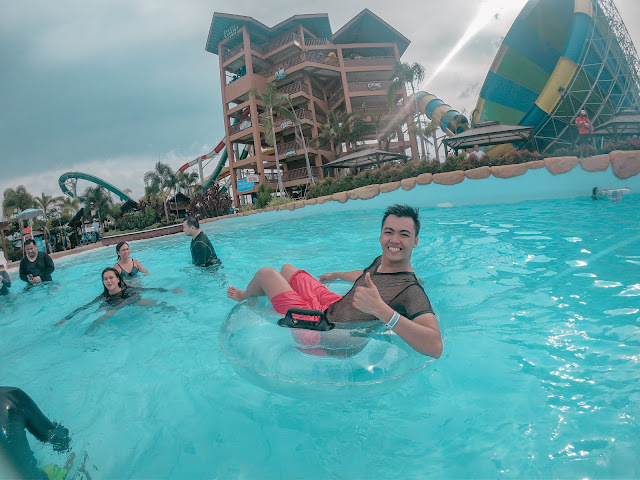 They also have instagram-worthy spots around where you can take pictures and also chill activities like tubing at Maui River and swimming and partying at the Buccaneer Bay. Go river tubing in Maui River! You should at least be in a group of four when trying the cyclone slide. 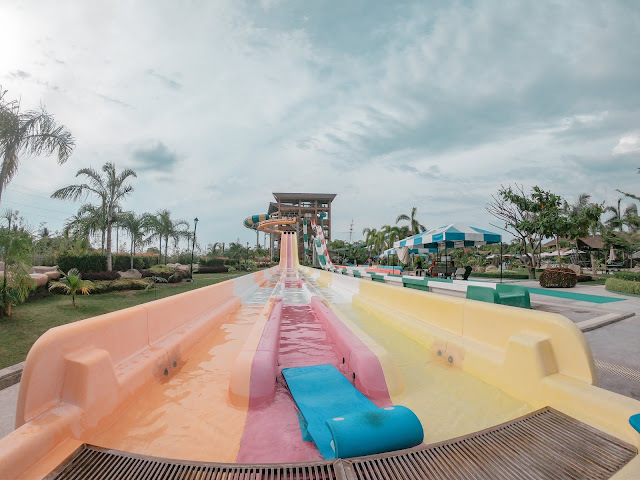 Should you decide to try the Cyclone, make sure that you are four in a group and you have taken the giant floated from the end of the slide where these are placed after use. Staff guarding the entrance with weighing scales can also be observed since weighing and height checking is a must before a guest tries the slides for safety purposes. 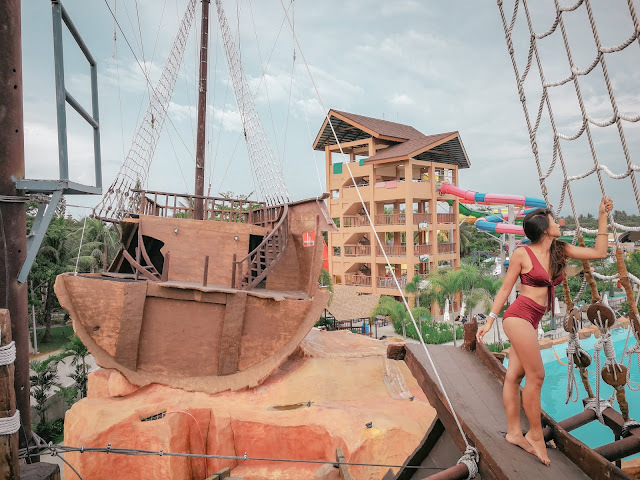 One of the major attractions of the Sevenseas Waterpark and Resort is their Shipwreck. >Using of handheld action cameras at some of the slides is strictly prohibited. However, if the guest has hand/head or body strap for the gadget, he/she may be allowed to take it with them to the slide for recording. >Children should be supervised at all times. >Proper swimwear attire must be work. 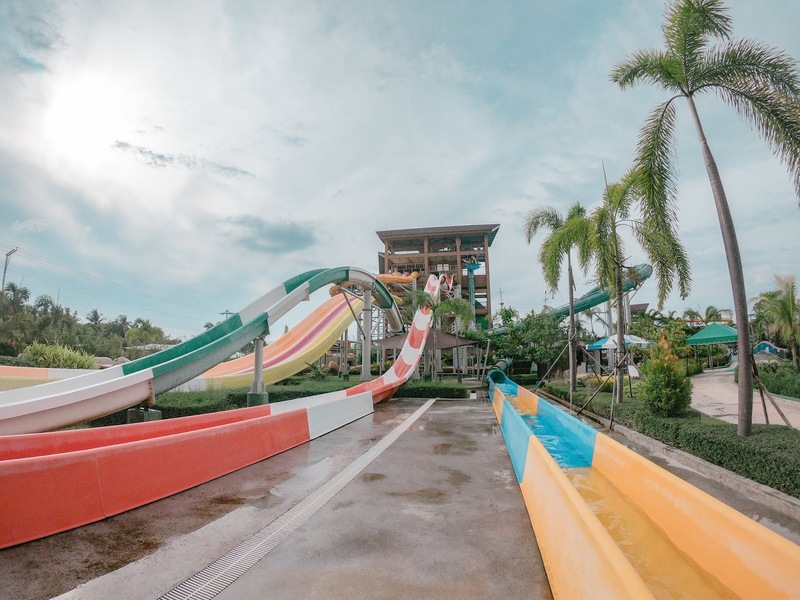 Guests not wearing the prescribed swimming attire may not be allowed to ride and experience some attractions. From Metro Manila or Clark, you can fly via Cebu Pacific Air or Philippine Airlines straight to Laguindingan Airport. 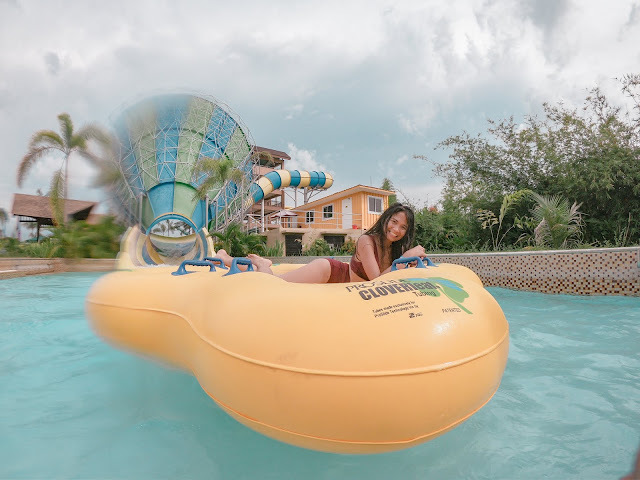 Option A: From Laguindingan Airport, you may opt to take a cab or shuttle to Bulua Mini Market where you can take a tricycle straight to Seven Seas Waterpark Resort. Option B: If you rather DIY it than taking the most convenient yet expensive way to get there, you can take a tricycle that will bring you to the highway where you can take a bus, jeepney or van going bound for Misamis-Cagayan de Oro route. Tell the driver to drop you off somewhere near Seven Seas because they won't be passing by Opol-Bulua Diversion Road. Safest would be getting dropped off Bulua Market where you can take tricycle straight to Seven Seas. 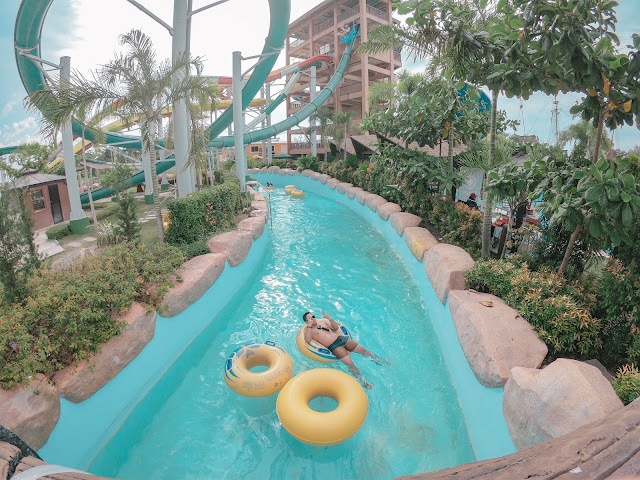 Option A: You can take a cab or grab straight to Seven Seas Waterpark and Resort en route to diversion road. It usually costs 160php good for four heads in this ride with traffic not counted. If you are at SM Downtown Premiere or Centrio Ayala Mall, go to Gaisano CDO Mall across the overpass. From there, you can either take jeepney or L3 van. Hop into a Youngsville Jeepney Liner bound for Buluan Bus Terminal (12php). 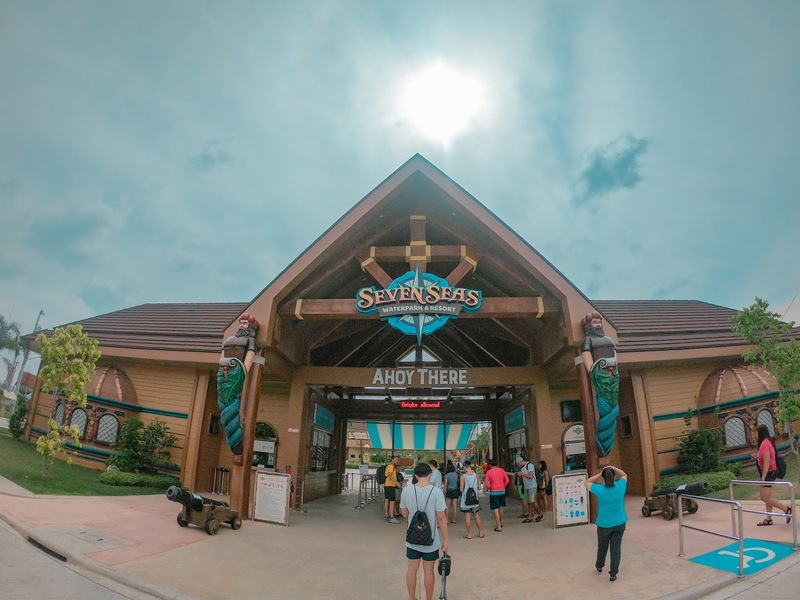 From the terminal, you can either charter a tricycle or grab a cab to Seven Seas Water Park (70php). Fare is around 82php per head for a group of 4. From Gaisano, look for Regency Liner. Take a van to Barra. Alight at Opol crossing highway then take a cab (around 60php per head) or tricycle (usually 15php per head) to seven Seas. Option C: In front of Gaisano Mall, take a jeep or multicab bound for Opol. At the drop off point, transfer to another multicab en route to Iponan-Bulua-Patag. Tell the driver to drop you off the crossing going to Seven Seas as multi-cabs do not pass by that route. From there, you can charter for a tricycle that will take you to the resort. 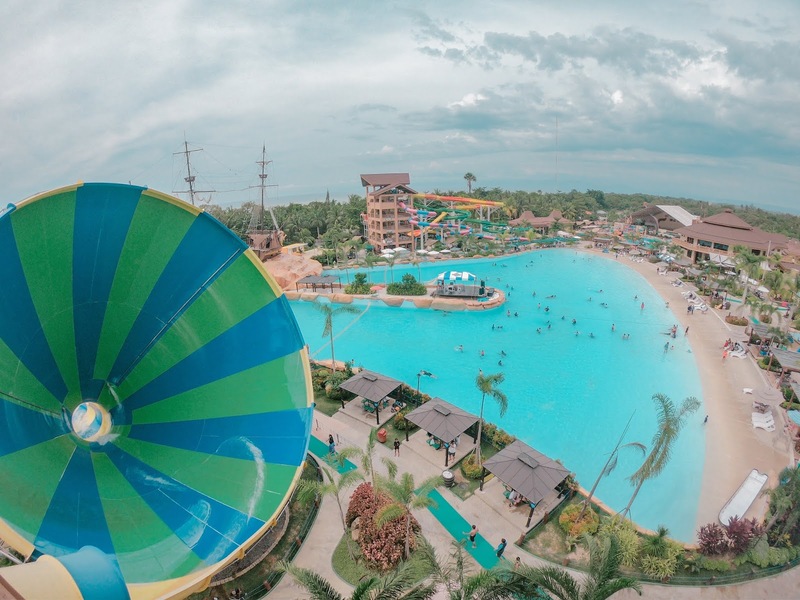 For more updates and information, you may want to visit their official website: http://sevenseaswaterparkresort.com/ or Seven Seas Waterpark and Resort Facebook Page.